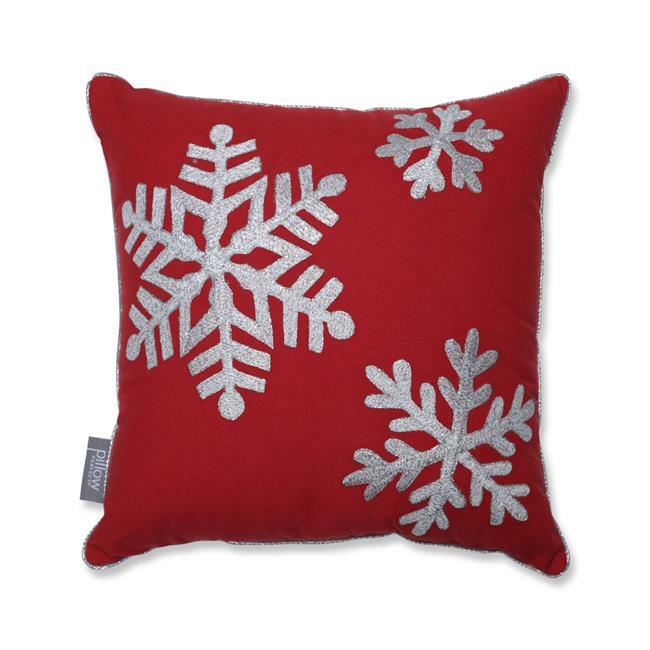 Elevating the look of your holiday home, this decorative throw pillow is a small touch that will make a big impact all season. Large-scale snowflakes are embroidered in a silver lurex yarn that glisten against the Christmas red ground spreading the spirit of the holidays into your household. A silver lurex welt cord compliments the intricate snowflakes and completes the look. Additional features of this accent pillow include recycled polyester fiber-fill and a sewn seam closure.